Auto Trim Express is a vinyl graphics line featuring "digitally airbrushed" vinyl graphics. Dozens of designs, all available in multiple color combinations, provide a wide selection of options. One that is sure to suit your project perfectly. From Mild to Wild: Auto Trim Express has it all! When Auto Trim Express first started, the designs were hand airbrushed using automotive paints. As technology progressed, the images were all redesigned to be printed digitally, while maintaining the same look and feel of hand airbrushed designs. This is where the term "digitally airbrushed vinyl graphics" comes from. Digital airbrushing allows a more consistent look and finish on all the graphics produced. Most of the Auto Trim Express designs come in multiple sizes. For example, many designs have a 3" version and a 6" version. This allows you complete flexibility in picking the right size to best fit your application. It also works great when matching a design from a vehicle to a trailer. Using the small size on the truck, and the larger size on the trailer. More Colors than a Peacock! All of our kits are offered in multiple color combinations. Some have as many as 7-8 standard combinations. Quality is Designed into Every Kit! The Best Materials = the Best Graphics! All of our kits are printed on the highest quality 2.5 mil films. 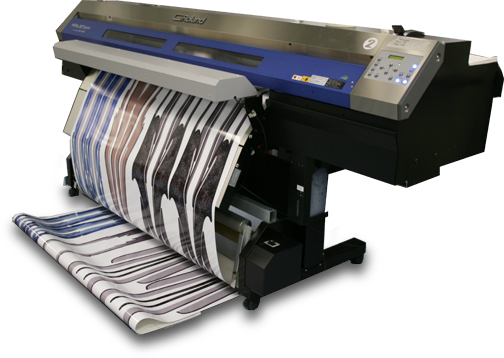 We also utilize the latest in digital printing technology, high-quality ink systems, and hi-res color profiles to guarantee the best product quality. Other brands utilize color profiles that use less ink and cheap ink system to cut costs. This results in "purple" silvers, washed out color, and color lifting issues. Since all of our kits are now printed on our advanced digital printing equipment, the first kit will match the last. No longer do you have to worry if the hand airbrushing will match from run to run. All Auto Trim Express designs are warranted against defects in manufacturing for the lifetime of the product. Warranties are for product only and limited to the value of the replacement graphic. Neither seller nor manufacturer shall be liable for any damage, expense, or consequential damage arising out of use or the inability to use the product. We take quality seriously, and because of this, cheap plastic wrap and a paper band just do not cut it in the packaging department. All of our kits are packed in protective chipboard boxes, preventing damage from crushing and creasing while on our shelf or in your truck.